Looking to receive the latest in free digital tv entertainment? Then the new Freesat system, which was launched Spring 2008 could be the answer! 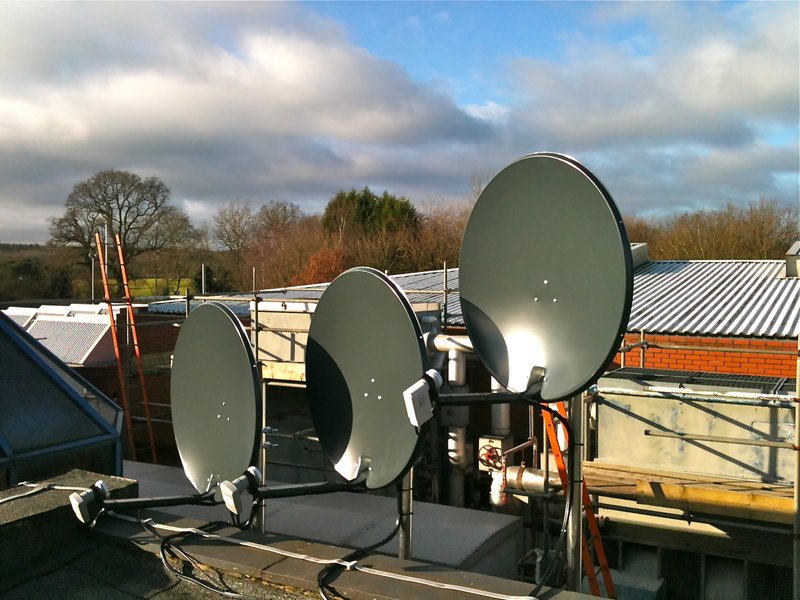 The new Freesat system has been developed to provide greater network coverage for the UK, with approximately 98% of all UK households being able to receive the digital satellite signal, and will provide digital viewing for those who are unable to receive the current Freeview TV signal. Furthermore, Freesat will provide super fast digital text and enhanced digital interactivity, with access to the latest local, national and world news, and even live sports results and the local weather! The freesat system, as the name suggests, is freesatellite viewing for anyone who wishes to watch digital TV. With approximately 140 digital channels including TV & Radio already available. One of the most appealing features of the new BBC & ITV Freesat system, is not just the fantastic tv channel line up in place and to come by 2009, neither is it the free digital channels with no subscription or monthly payments, but it is the offering of High-Definition technology on its range of tv channels, direct to your television, ALL COMPLETELY FREE. Providing you have a HD compatible digital television, and a HD Freesat receiver, you will benefit from the channel line up in glorious High Definition, providing greater, sharper and much more detailed pictures and vibrant colours. Freesat+ has now been launched, ensuring you will now never miss your favourite tv programmes again! Like Sky+, providing you have a Freesat+ satellite receiver, you will be able to pause, rewind and fast forward live TV, at the touch of a button! Furthermore, you will be able to record entire series on a Freesat tv channel of your choice, and record other programmes whilst you are not home. The Freesat+ satellite receiver will have plenty of available space ensuring you can maximise your tv viewing experience with the programmes you want to watch! 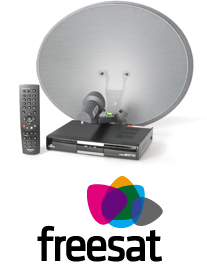 With Freesat+, you no longer require VHS tapes or recordable DVD's, as all your programming is stored directly onto the integrated hard disk drive on the Freesat satellite receiver, so you can watch any of your recorded television programmes, when you want to. The hard drive can store approximately 320gb of data, which is around 80 hours of free HD programming! No Monthly Charges, No Minimum Contract, One Payment! We can supply and install a suitable Freesat satellite system to suit your requirements, whether you wish to receive standard definition viewing, or would like to receive the new HD channel line up, all free. Remember, Freesat has no monthly charges, subscription or minimum contract. 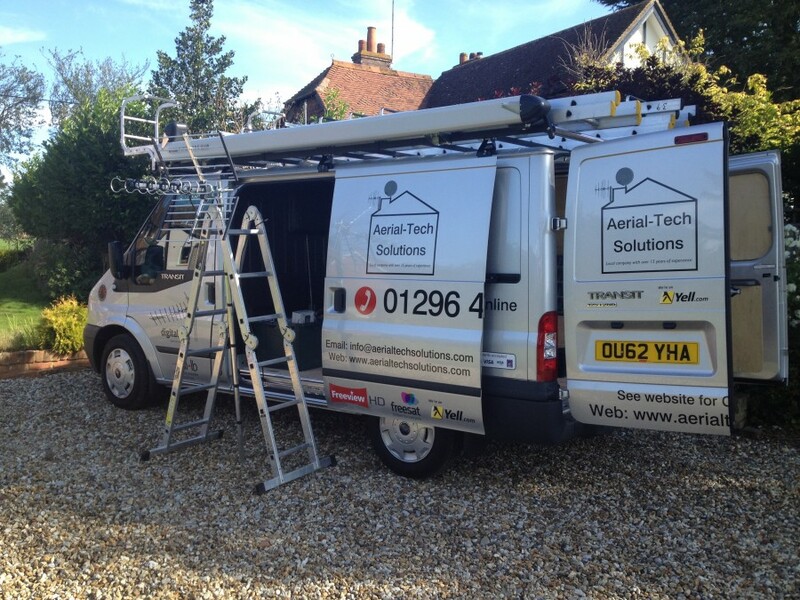 You only pay for the equipment and installation, both of which, Aerials & Satellites can provide on the same, if not the next day of your telephone call. Freesat has been manufactured and produced with downloadable content in mind, meaning you, the viewer, can download and watch 'On Demand TV' at the touch of a button. Your Freesat satellite receiver will download and utilise the BBC iPlayer, providing you access to the past seven days worth of viewing, so you can watch missed programmes and catch up on your favourite soap or TV shows! All you require is a Freesat satellite HD or HDR receiver connected to your internet/broadband connection to be able to utilise this service. As opposed to the Sky Freesat system, you will not require a card to unlock the free channels, and the BBC has announced their system will remain free, forever. All you pay for is the system with installation!